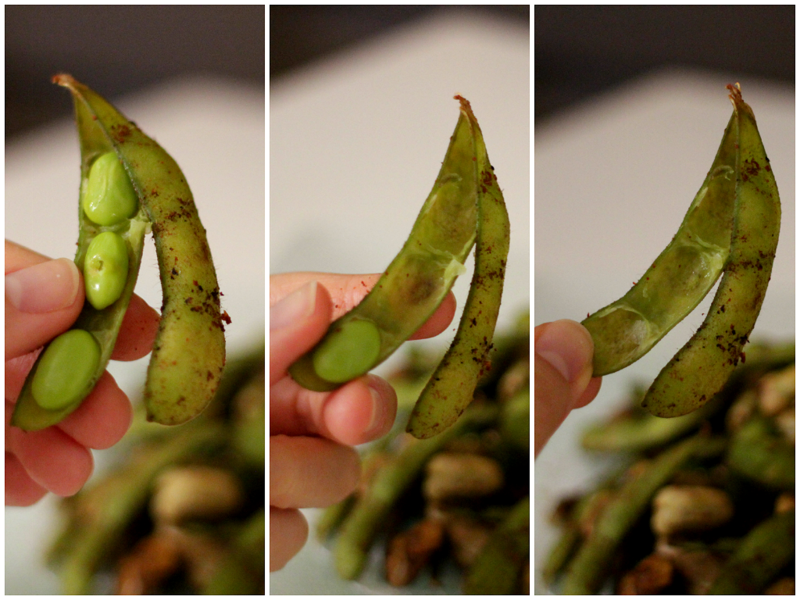 Boil frozen edamame pods and broad beans in a boiling water for 1-2 minutes and drain. In the meantime, mix other ingredients in a bowl. Heat a non-stick pan over medium heat. Add the soy mixture in. 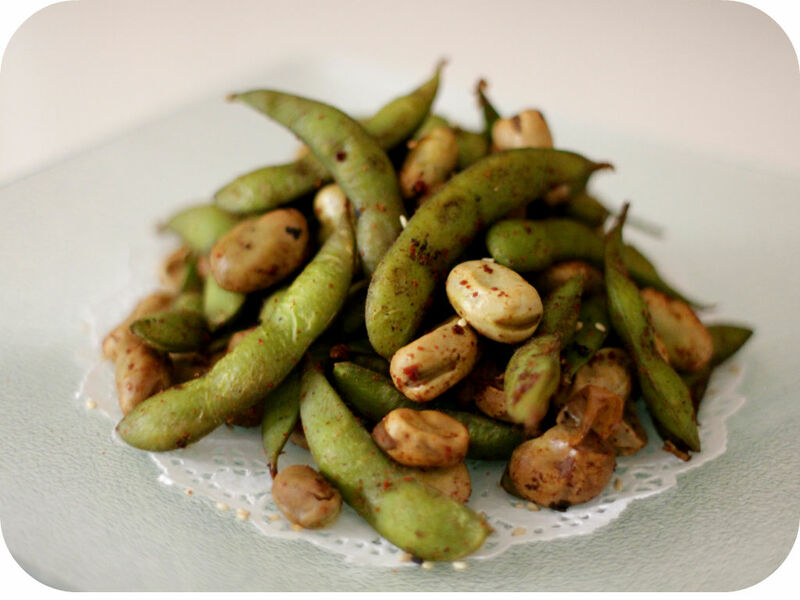 When it starts to bubble, stir in edamame and broad beans and cook for 5-10 minutes, keep stirring until the liquid is evaporated.